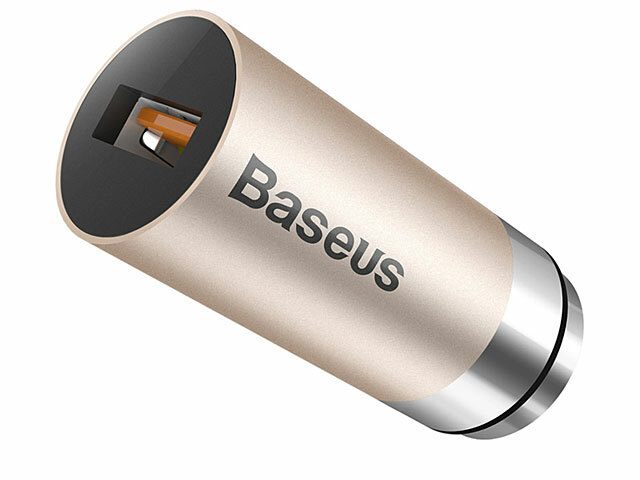 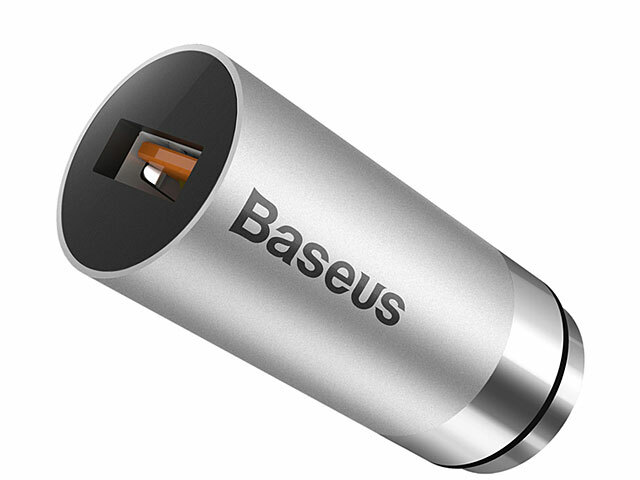 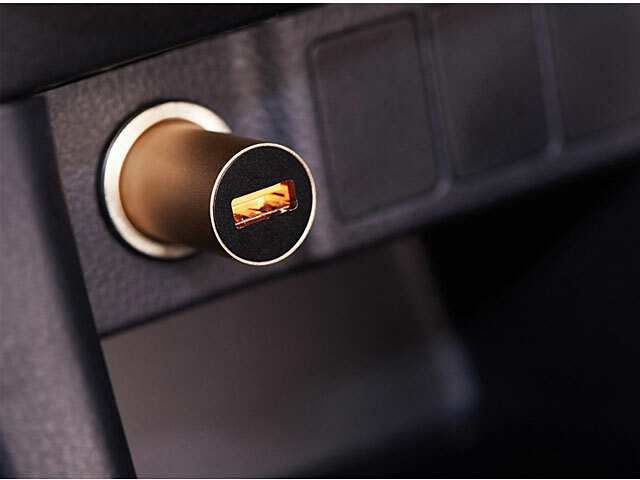 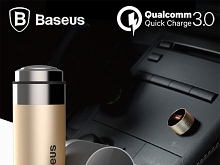 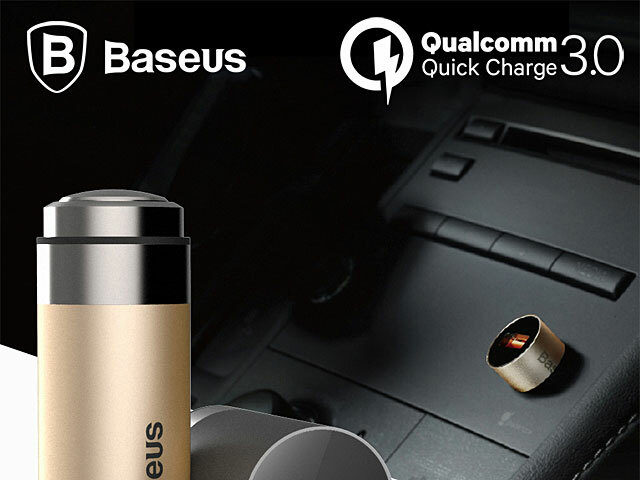 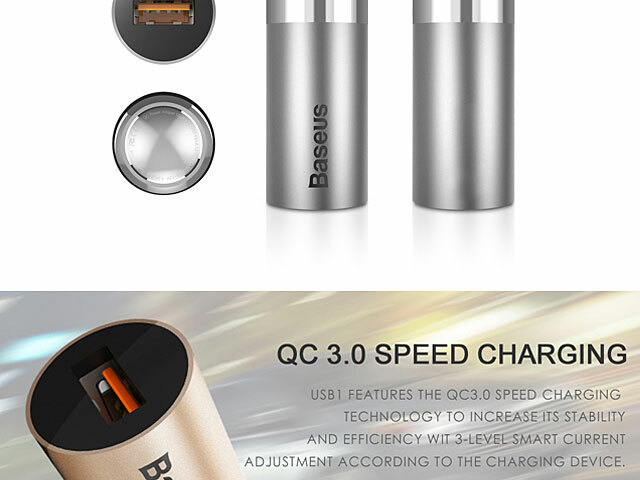 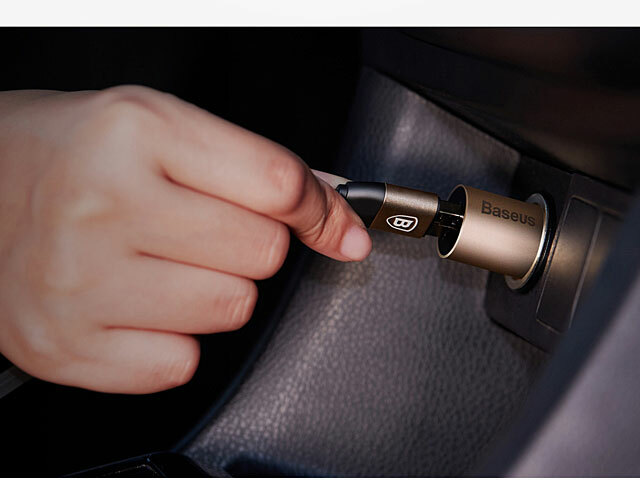 Adopts Qualcomm Quick Charge (QC) 3.0 technology standard, recognizing match appropriate current, which enables quick charge and greatly reduces charging time. 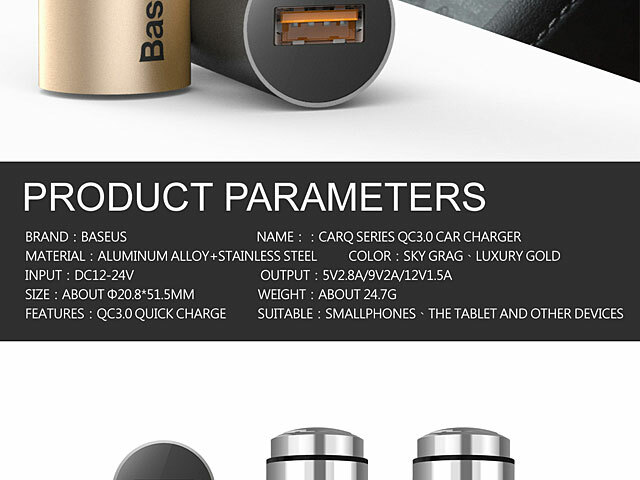 The shell is made of high free-retardant aluminum material, smooth shape, durable , not deformed. 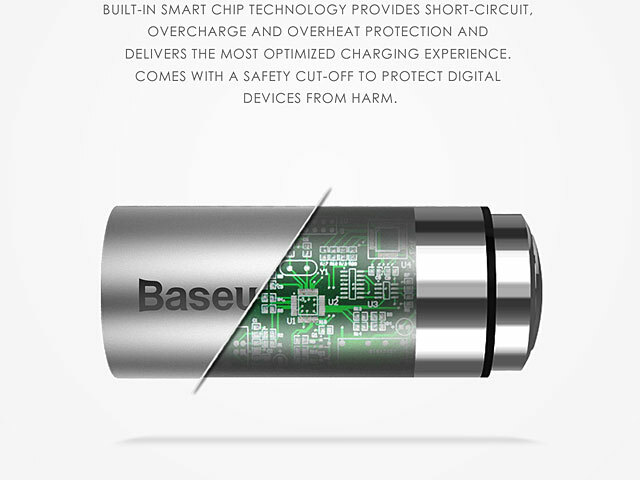 Innovation of non-contact design to improve conductivity and life-span with anti-corrosion benefit. 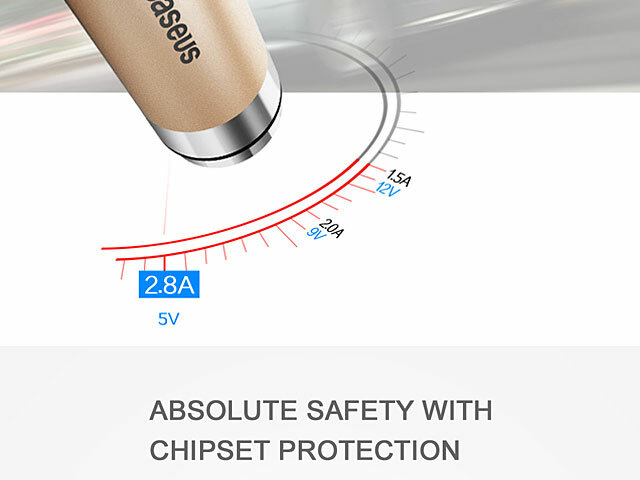 Built-in intelligent management chip, effectively prevent overcharging and short circuit security.